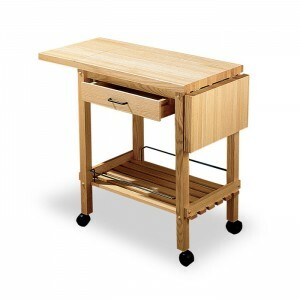 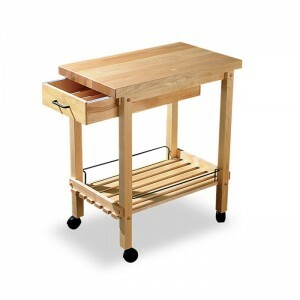 Small on space, but big on functionality, this butcher block topped DauHaus cart offers on-demand prep space and can conveniently roll away when not in use. 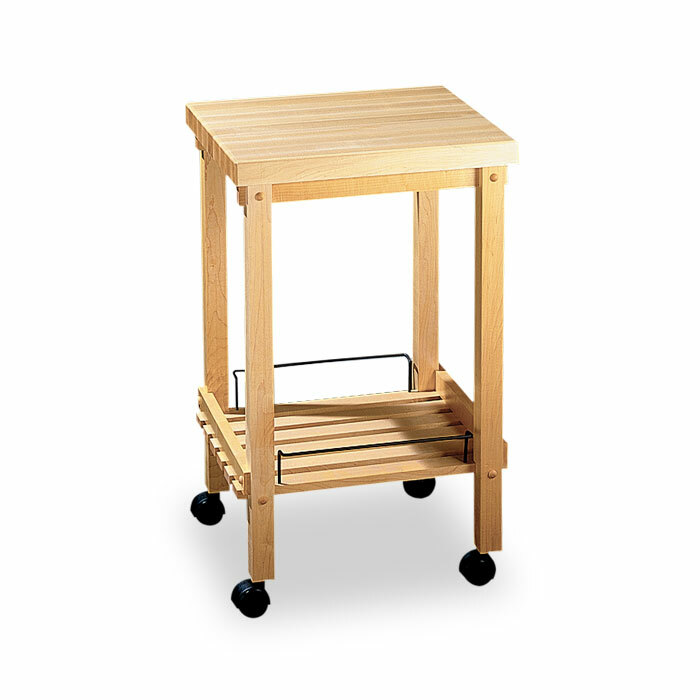 Crafted with clean lines and simple construction, this cart features an under-shelf for small storage items. 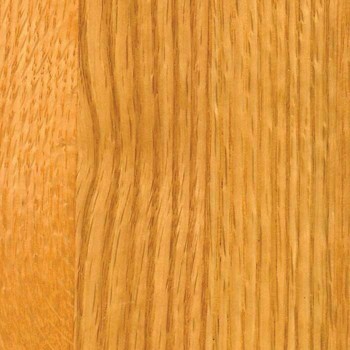 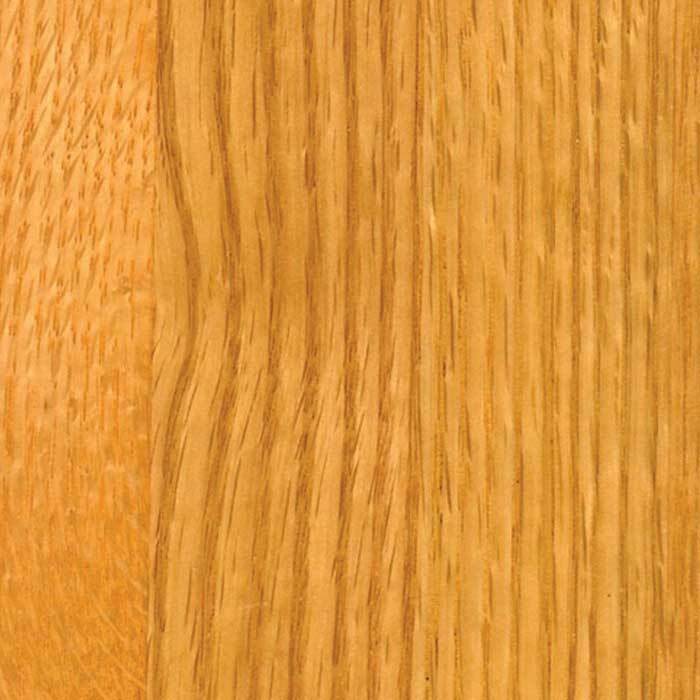 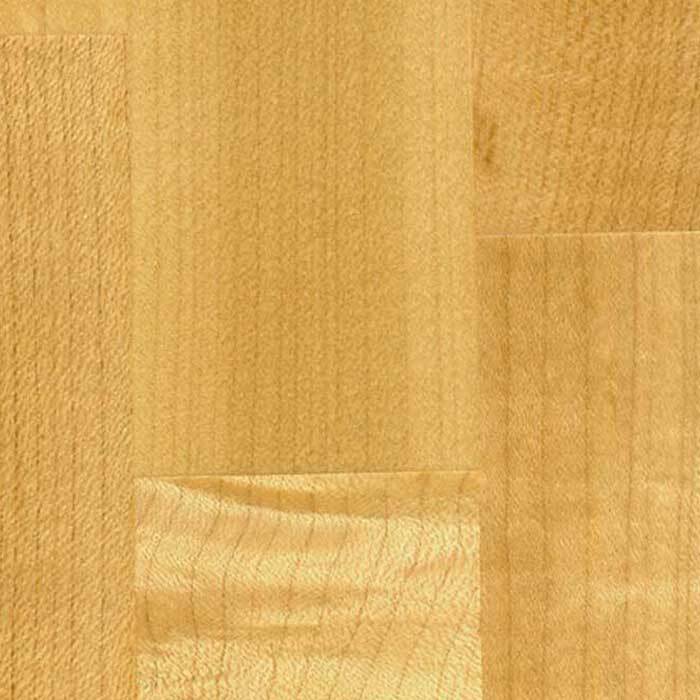 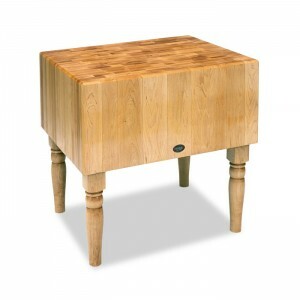 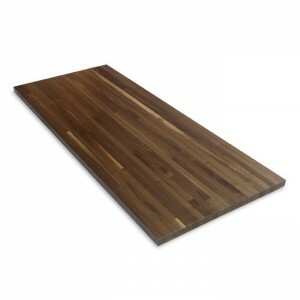 Available in maple or red oak.